to a young possum clinging to a plum tree, via substance-fuelled manic narrative, Zen solitude and vivid evocations of childhood, by turns playful, anxious and outrageous, Peter Olds keeps watch with an always compassionate eye and with not too much thought about literature gets it all down with unpretentious drop-dead authenticity. 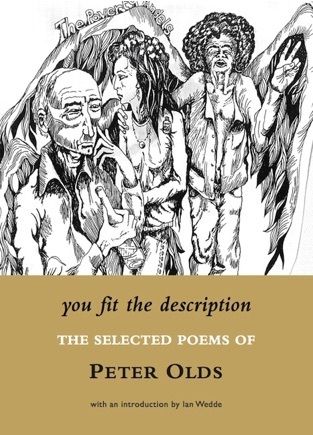 This new selection of poems by Peter Olds gathers a more generous sampling than his 1972–2001 selected poems (It Was a Tuesday Morning, Hazard Press, 2004) as well as work from collections published since then, and twenty-five previously uncollected poems. But perhaps most importantly it includes a number of the celebrated longer poems of the 1970s and 1980s which were left out of the Hazard selection. In print again at last here are Freeway (“will be seen to be a work which is central to the development of a genuinely New Zealand literature” ––Bill Dean, Critic); Lady Lust revisiting the Great Psychiatric Rock & Roll Nostalgia Story; Beethoven’s guitar (“an immensely vital poem about life in a psychiatric hospital” ––Peter Simpson, The Press); Notes on State Highway Number One (“something of the devil-may-care exhilaration of Goodbye Pork Pie” ––Frank McKay, The Listener); along with After the music and After looking for Broadway. In an extensive introduction Ian Wedde fits Olds into a national and international context, then focuses on the “mindfulness” of the poet’s vision, from his early immersion in the conditions of addiction and mental illness, to his humorous, compassionate and expanding sense of relationship, and his awareness “not just of the present moment but of the consciousness that focuses the poet’s attention”. 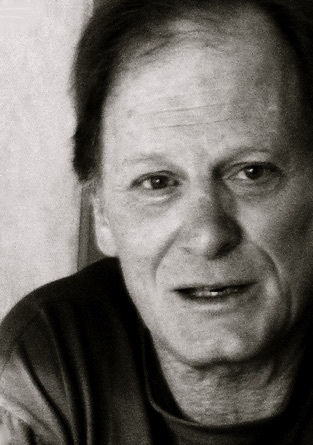 Peter Olds was born in Christchurch in 1944, he left school at sixteen and after meeting James K. Baxter in Dunedin in the 1960s, began writing poetry. He was a Robert Burns Fellow at the University of Otago in 1978. In 2005 he was an inaugural recipient of the Janet Frame Literary Trust Award for Poetry. He lives in Dunedin. His previously published collections include Lady Moss Revived (1972), Freeway (1974), Doctors Rock (1976), Beethoven’s Guitar (1980), After Looking for Broadway (1985), Music Therapy (2001), It Was a Tuesday Morning: Selected Poems 1972-2001 (2004), Poetry Reading at Kaka Point (2006), In the Dragon Cafe (2007), and Under the Dundas Street Bridge (2012).